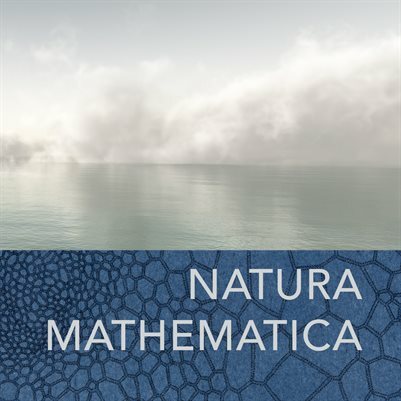 The catalog for the art and science exhibition on the theme of mathematics in nature. It is in Haber Space at CENTRAL BOOKING from April 6, 2017 – May 28, 2017. Curated by Maddy Rosenberg, participating artists are: Cynthia Back, C Bangs, Caroline Blum, MJ Caselden, Erik Demaine and Martin Demaine, Beverly K. Duncan, Gerhild Ebel, Robyn Ellenbogen, Steven Gawoski, Susan Happersett, Amber Heaton, Jeanne Heifetz, Helena Kauppila, Lorin Roser, Martha Willette Lewis, Geraldine Ondrizek, Gerhard Mantz, Eva Mantell, Alan Rosner, Simona Soare, Sarah Stengle, Kathy Strauss, Rachael Wren.